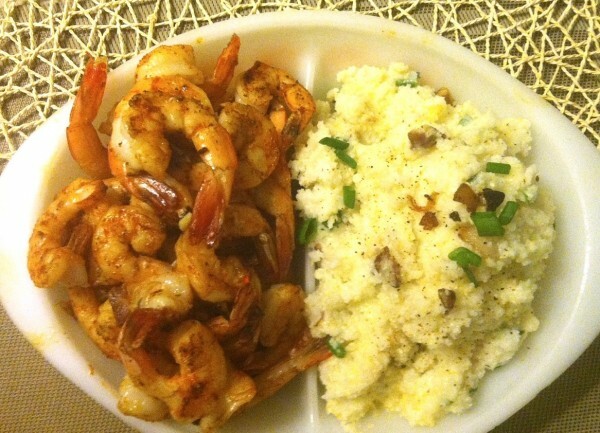 Spanish shrimp and Southern grits with cheddar, bacon and chives for #letslunch. But when Mark Bittman told me about this Spanish inspired recipe that starsÂ Spanish paprika with ground cumin, I haven’t looked back. Excuse the superlatives; this spin on a Spanish tapa is my favorite, and everyone I serve it to loves it. The shrimp juices infuse the oil, and the sum is beyond delicious. Itâ€™s good with bread, over rice, tossed with pasta, or stuffed into tacos. Other seafood you can use: similar-sized scallops (or larger, though theyâ€™ll take longer to cook). 1. Warm the olive oil in a large, broad ovenproof skillet or flameproof baking pan over low heat. There should be enough olive oil to cover the bottom of the pan; donâ€™t skimp. Add the garlic and cook until it turns golden, a few minutes. My second visit to Pebble Beach Food & Wine last weekend was amazing; I think it’s now my favorite food and wine festival. I love the fact that it attracts great chefs from all over the country along with some of the best wines in the world. And since it’s in California, it feels a lot more relaxed than Aspen. 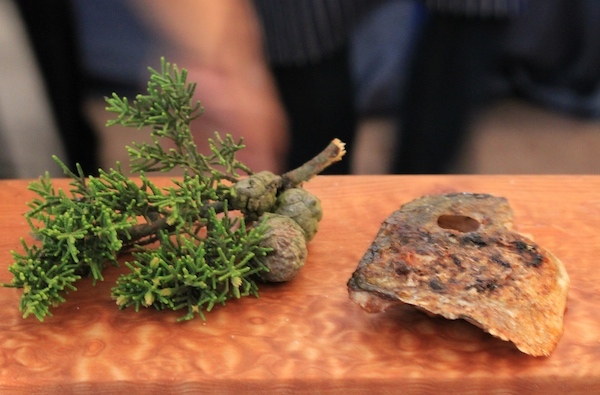 Michael Cimarusti set striped bass cheeks aside and shared them with guests he liked. Cimarusti is a master at seafood of all sorts. A trip to his LA restaurant Providence is well worth it, both for the creative and technically perfect two-star Michelin food and the surprisingly stylish decor. I loved the ethereal ceramic circles that sprouted from the walls like sea anemones. His main dish was a perfectly tender – (perhaps sous vide) striped bass tenderlon paired with pickled enoki mushrooms, carrots and miso mayo. But the fun part was the “Cheek Bar” around the side, where Cimarusti handed out the succulent bass cheeks to guests he liked including Roy Yamaguchi and yours truly. 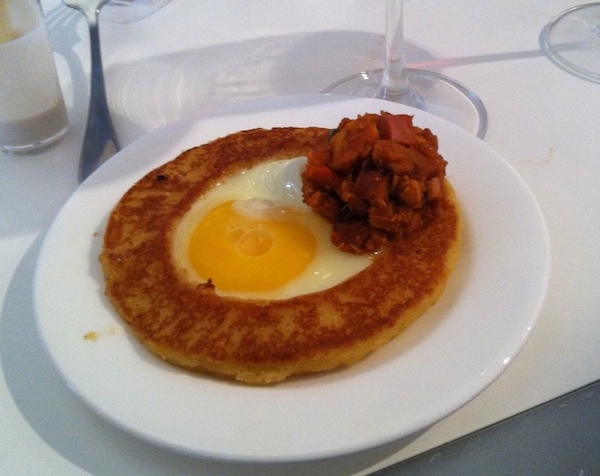 Douglas Rodriguez' Sweet Corn Arepa was topped with a runny egg and chicken hash. To me, Cuban-American Chef Douglas Rodriguez will always be the king of Nuevo Latino style food; that mix of Latin American flavors and tropical ingredients. I love, love, love everything in his book Nuevo Latino, it’s the Bible for cooking creative Latin food people will be craving years later. So we got sucked into standing in a long line for his dish, but fortunately it moved quickly. The arepa was sweetly corny and satisfying; the egg added richness while the chicken hash spiced things up. We chatted with the chef and I asked him if he ever took my advice and opened a restaurant on the West Coast. Dougie, I’m sorry but Scottsdale is NOT the West Coast. Nancy & Matt of Mozza in LA served an out-of-this world burrata caprese with a side of fried bread. Team Mozza seemed to have had a rough night; the crew including Matt Molina wore baseball caps with the brims pulled down low; Silverton had on these massive round sunglasses Ã la Iris Apfel. Platters of lightly roasted cherry tomatoes and mounds of golden bread cubes filled the back work table. 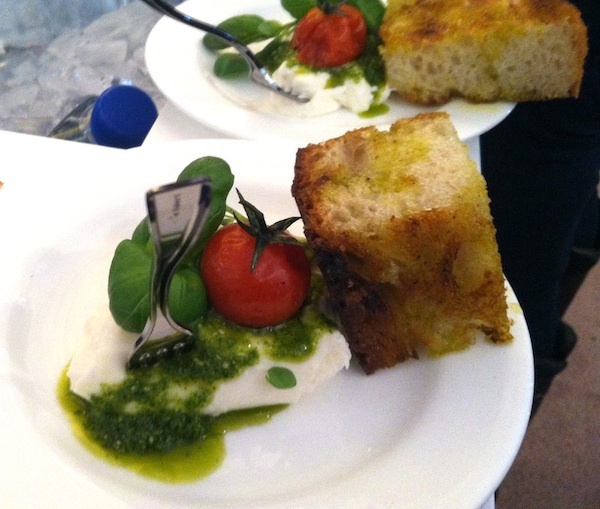 Matt scooped out the creamy burrata, another cook added bright pesto and a tomato to each plate. Then Nancy crowned it with the bread and a sprig of basil. Actually, I think the chef should have called this a deconstructed panzanella, since the piece of bread fried in olive oil was what made this dish. Whatevs, it was the most stunning bite of the day. I’ve since become obsessed with homemade pesto – I’ll post my version soon. 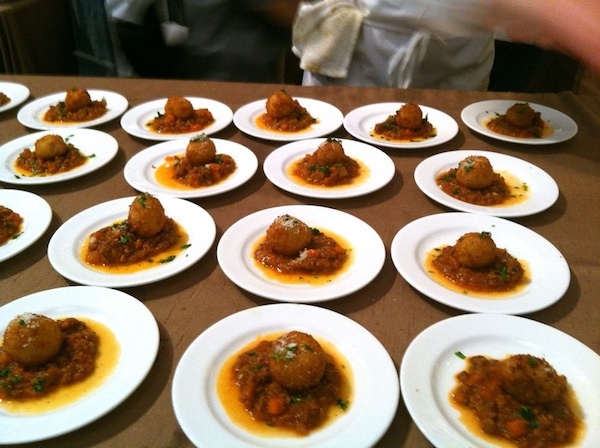 Richard Reddington's warm and fragrant arancini rested atop a lamb Bolognese sauce. Richard Reddington – the other amazing chef in putting Yountville on the culinaryÂ map thanks to his consistently well-executed and striking seasonal cuisine at Redd.Â That’s why it’s my favorite place to eat. 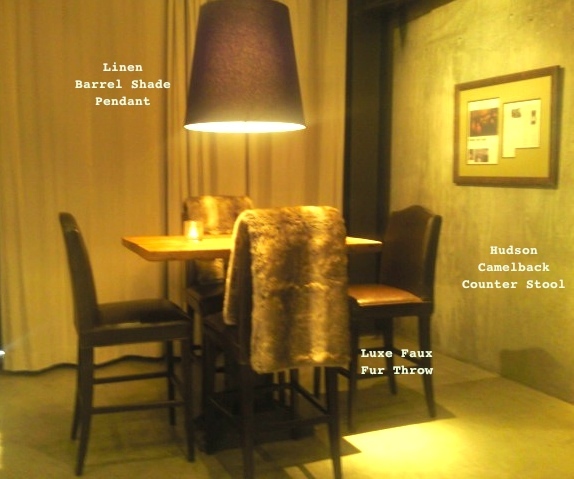 He’s been been in an Italian state of mind ever since opening Redd-Wood which serves up handmade pastas, upscale wood-fired pizzas, and Italian-esque meaty dishes a couple months ago. 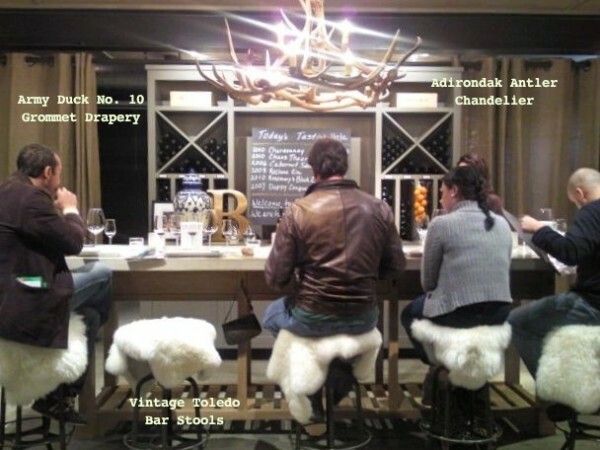 If you haven’t been, the cocktails featuring Italian amari and spirits are first-rate and so is the service, led by Nick Dedier, formerly of Ad Hoc. This crunchy outside, creamy saffron rice inside arancini in a nuanced lamb sugo is one of the apps from the Redd-Wood menu. It’s also the kind of thing that makes you want a whole plate of Bolognese. Imagine eating a hot, cinnamony buÃ±uelo stuffed with rice pudding - that's what Dahlia Narvaez did. 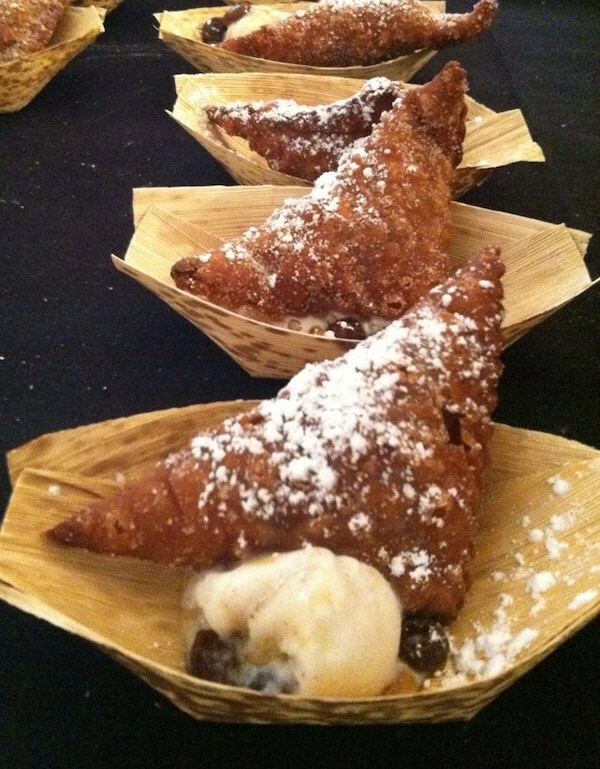 Not only did Team Mozza create the most delicious savory bite of the day, they also served up the most creative and memorable dessert. Mozza’s Executive Pastry Chef is Dahlia Narvaez, and when my friend Jen – the super-talented designer and artist of Gonzalez Grafica – spotted her name, she rushed over. I’m so glad she did, as I loved the way Narvaez did a mash-up of two favorite Latin desserts: rice pudding and buÃ±uelos. The result was a warm crunchy turnover dusted in cinnamon and sugar with creamy rice pudding inside. 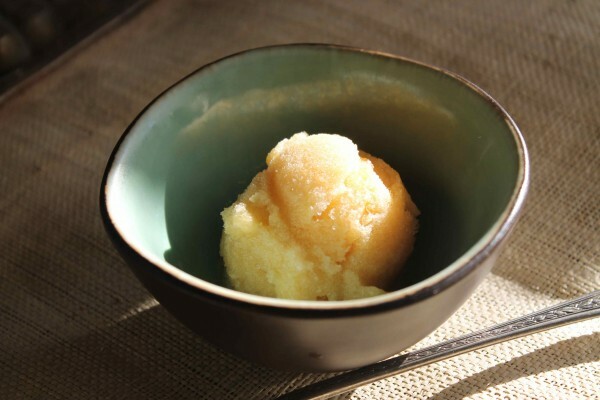 A scoop of banana ice cream was added for good measure. Brussels sprouts are delicious raw, when thinly shaved and mixed with lemon, toasted walnuts and pecorino romano in this wintry slaw. Summer won’t be here for months according to the calendar, but that doesnâ€™t mean we have to wait until July to break out our cole slaw recipes. Cabbage is the perfect vegetable to bridge the winter-to-spring divide with its crisp texture and earthy, slightly sweet flavor. Since heavy, creamy cole slaw doesnâ€™t appeal to me most of the time, I was thrilled to discover some healthier and tangier slaws that hold the mayo. I developed a slew of healthy ethnic slaws for Relish Magazine, but one of my favorites is this one made with pale green baby Brussels sprouts. Cabbage and the other cruciferous vegetables all share a subtle sweetness and can star in a range of creative salads and slaws. Cabbage is delicious raw and adds a crunchy component to any meal. Treat it like you would any lettuce: chop up the cabbage of your choice, drizzle it with olive oil, lemon juice, salt and pepper, cilantro and minced garlic if you dare to make a fresh and light slaw. This slaw makes a great side dish or even a main meal with the addition of some grilled chicken, fish or shrimp. Look for: With red or green cabbage, choose one that feels solid with smooth, well-formed leaves. Napa cabbage should look fresh and green. Brussels sprouts should be small with tight heads that are free of yellow leaves. The facts: Just one cup of cabbage has just 17 calories and is loaded with good stuff including Vitamin A, Vitamin C, potassium and fiber. Bonus Points: The entire cabbage family is powerful cancer fighters; it contains 11 of the 15 plant chemicals know to fight cancer, according to the Duke Comprehensive Cancer Center. 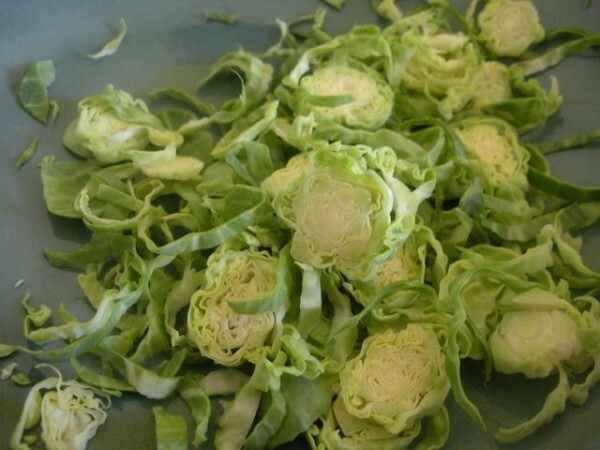 Who knew these beautiful, pale green and gold rosettes were hiding inside Brussels sprouts? 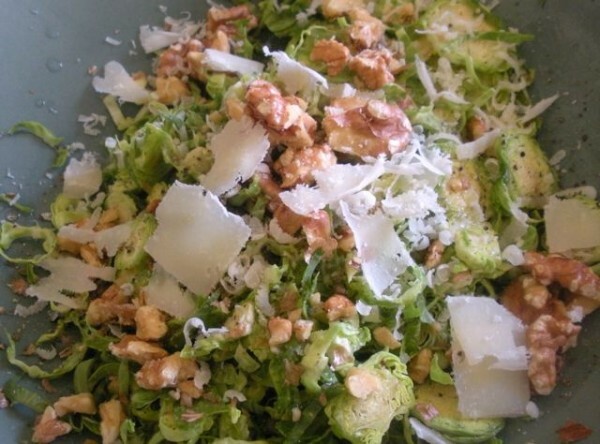 This simple Brussels sprout salad is based on a recipe created by Jonathan Waxman; a similar dish is a popular item on the menu at Gottino in New York City. Leaving the Brussels sprouts raw allows their natural sweetness to emerge. Using a mandoline or adjustable blade slicer, slice the Brussels sprouts into thin disks. Toss lightly to separate the layers. Add the walnuts and Pecorino Romano cheese. Whisk olive oil and lemon juice together and drizzle over the Brussels sprout mixture. Season to taste with salt and pepper. Serve immediately. 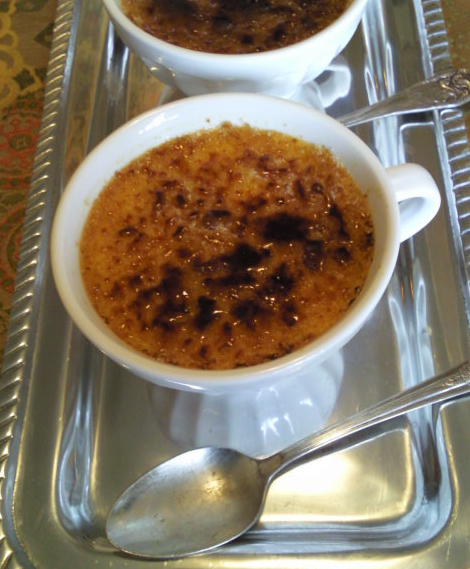 Adapted from Jonathan Waxman, author of A Great American Cook, Houghton Mifflin, 2007. 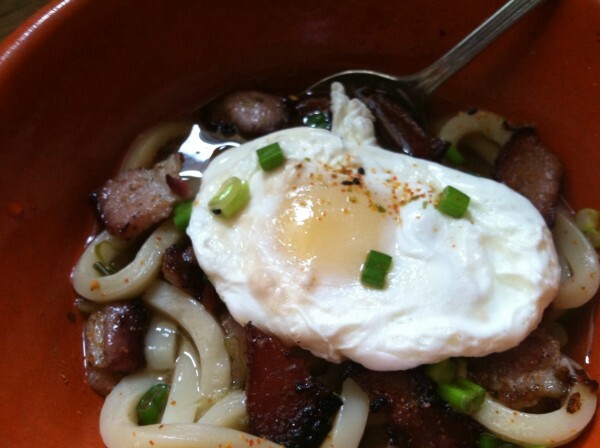 It's easy to turn leftover udon or ramen into Breakfast Noodles. I tend to eat things in phases. One week, I’m totally into salty foods like potato chips or popcorn. The next week it might be dark and sweet French hot chocolate or salted caramel ice cream. This week, probably because I’ve been super busy, I’ve gotten into building meals around poached eggs. Eggs are such a lovely and complete food, a quick way to get protein and get on with the day. And I think eggs are just beautiful, especially if you can get ones from a farmer’s market or a friend who has chickens. The yolks on those are such a fantastic shade of marigold orange, like the label on a bottle of Veuve Clicquot. But even grocery store eggs are pretty, with their cheerful yellow yolks surrounded by soft, chalk-colored whites. To make my Breakfast Udon NoodlesI started with a reheated bowl of leftover plain udon and broth from Geta, my super-cute neighborhood Japanese restaurant. 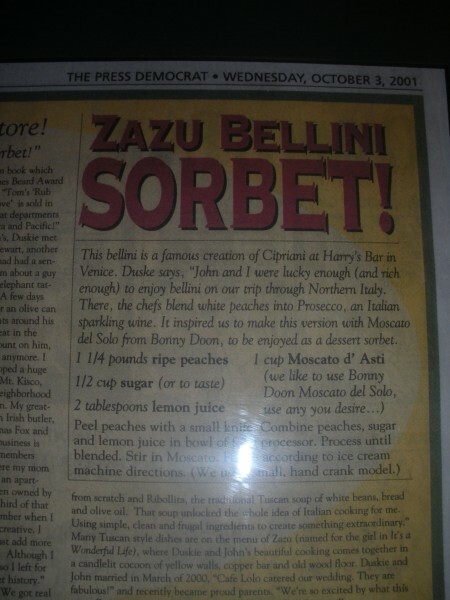 I ate half of them last night and of course when all the toppings were gone, I sort of lost interest. My favorite Japanese noodles are topped with pork belly a la Momofuku or Daikokuya Ramen in LA. Since I didn’t have a slab of that lying around, I cut up a piece of thick-cut bacon and tried to cook it slowly, so it stayed tender. Poach an egg by adding 1 inch of water to a shallow pot or frying pan with a light bottom. Turn it on high, and once it starts to simmer, but not quite boil, add a splash of vinegar. This keeps the egg yolk from spreading all over. Now carefully drop in the egg. It will start turning white as it cooks from the edges to the middle. Spoon a little water over the top of the egg, and use the spoon to move the egg around a bit, so it releases from the pan. When most of the white is set, it’s done. I topped my noodles with the bacon and poached egg, along with some chopped green onions and a few shakes of shichimi togarashi, a Japanese seven-spice powder. It’s brothy, spicy, bacon & eggy and easy: I’m happy. It sound like a Black family movie cliche, but growing up near Chicago, my family got together for big family dinners a la Soul Food. Nearly every weekend, my parents, siblings and I would pile in the car and make the hour drive from the Northwest suburbs to Chicago’s South Shore neighborhood. Â We couldn’t wait to visit the gorgeous three story brownstone that my Grandma Dorothy shared with her sister Aunt Fannie and Uncle Willy. To be fair, my Grandma made a stellar banana cake with a baked-on crust and did some pretty good punches too; I loved stealing tastes of the sherbet punch with sweet sparkling wine or the orangy Southern Comfort punch. ButÂ Grandma Dorothy was more serious and practical, so she specialized in the savory dishes: pepper steak, pots of collard greens, cornbread stuffing, sweet potato casserole with marshmallows and deviled eggs. 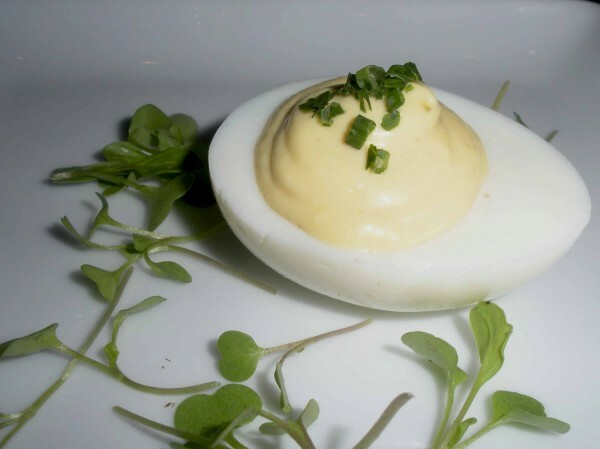 But a quick call to my mom and Grandma Dorothy – who turned 96 this year – yielded her recipe for Deviled Eggs. The ideal stuffing Â consistency is about that of mashed potatoes. Add more pickle relish or Â mayonnaise as desired or needed. Carefully spoon the seasoned egg yolk into the openings of the egg whites. Sprinkle with sweet paprika. If you like,Â Garnish with lettuce and parsley sprigs or chives.